In today's world, Testimonials can be baked & contrived. Ours are not. We share our moments with you and hope you will share your moments with us. To do so, you may click here & let er' fly! Write Your Own Testimonial Here. Of a things, a light came loose from the ceiling in a wind storm & tore a perfect hole in the wing sail. Pending location & orientation, holes like this can often be patched. Unfortunately, this one is perpendicular to the chord of the wing and also directly between the hang point & the wing tip - therefore the sail must come off & go back to the factory for a panel replacement. Boooooooo. Filmed an episode of "I'll Try It" & a Crocs commercial this morning with some adventurous girls from New York. Jim Ohara was a county commissioner for 12 years in Montana & a republican candidate for governor. He's one of fastest learners we've ever seen, a wicked smart aviation decision maker, AND he's a detail guy. Great week! But, what if there's no rubber side?? ?Usually, when a client calls & says their trike blew over - I'm already convinced they probably crashed it & still in denial. In this case though, Bernie was honest. The wind off the water tossed his bird. But we send him a new airframe & he'll be back in the sky in about a week. Shipping a basic but solid trike off to the east coast for John where he's going to do some customizing. Looking forward to seeing the results! Stefan & Philip called & asked if we could do a custom week of father/son flying adventures. DONE! Really fun to watch them interact & argue about techy stuff I don't understand - oh, and they also speak Dutch most of the time so maybe that has something to do with it! Regardless of what language they speak, they are both excellent students of the sky. Great week. 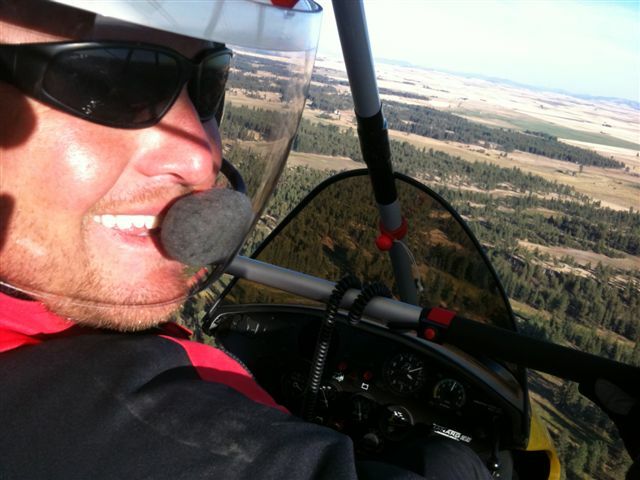 Stefan is a pilot from South Africa, so I'm hoping that by giving him a 200 mile tour of the Spokane & Coeur d Alene area - I will get a reciprocal tour of the Cape Town area next year! This was part of a week long father/son flying adventure we customized for them. Great week - perfect weather. Retired early from the software industry, Chuck described his old job as "think of healthcare.gov, except mine worked..." Great guy & really nice to work with a student who is never afraid to ask 'why' or take stuff apart... Congrats Chuck! Hi Denny - well so far the trike is working out great for as old as it is, I have no complaints. I can say that I like the ixess15 wing a lot better than the kiss13' but don't get me wrong I think that anything that AC makes is good. I hope one to have a Tanarg lol. 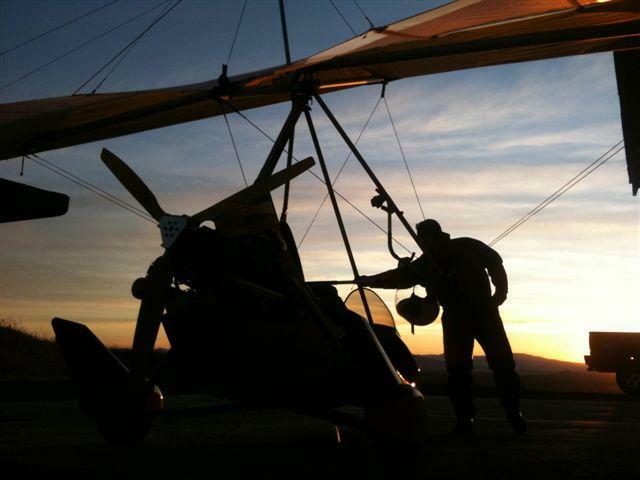 I would like to come out on vac next spring and do some flying with you guys, I would love to fly the desert. Wow, what a life story this guy has! From Europe to Ross Perot! CLYDE's FIRST BOTTLE OF "SKY HAG"
Jim taking the controls & doing just fine at 3000 feet! WE FLY, WE DRINK, WE EAT. Fresh off the airline - and into the trike for a 3-hr cross country! Joe is a Natural Gas driller in from West Virginia and doing a concentrated course in prep for launching a commercial trike operation. He wants to know how everything works - and thats where Clyde comes in as the resident genius. Annual Inspection time. Line em' up! Completely tore down & extensively modified an Aerotrike Cobra for the boys in Saipan. Great project yielding one tough airplane. Getting Dustin ready some back seat time & transition to floats. He's flying very well & outfitted with a nice machine & headed to Panama to fly touristas. Good luck Dustin! Its been really fun working with you & seeing you come so far. Flew Queen Latifah and her guests from the American Widow Project as a promo for the Queen's new talk show on ABC/CBS. This footage also made the David Letterman show. 1000 rounds of .223 !!! Thats the nicest tip a person could ever leave! Thanks Gerry! KEN D. "The Red Baron"
TAKE YOUR DAUGHTER TO WORK (every) DAY! I LIKE MY JOB - BUT I 'LOVE' MY LITTLE BROTHER'S JOB! DAN & 2 MORE GENERATIONS! DAN'S FIRST CROSS COUNTRY COMPLETE!!!! Flying cowboys? Yes sir, and damn proud of it. Bad flying weather means great beer weather! Dustin & his new SLSA Northwing Scout XC with GT5 wing. "I'd shmile mere burt da micrifone esz en my mourth..."
"Giff is always here & ready to go before the sun rises! Animal!" We get these 3 or 4 weeks of really stable conditions here in early September just before the temp starts to drop. It's like jet stream & ocean currents are slack while they decide our fate for Fall & Winter. Great flying. Fall flying is alway pretty fun. 4 or 5 hours of cold, stable air to go cruise around in. Covered over 140 miles of Eastern WA & North Idaho this afternoon while Tom settled in. "Clyde Poser - DAR/LSSC - Schooling my birds..."
"Just yell "24 Hour Pack" at the Pike Street Market... ...and duck." "Ordean - C'mon, it ain't gonna fly itself..."
He'll smile for the picture - but we're 'burnin daylight'... Farmers & equipment operators always learn fast. By the way, I see that Idaho has legalized airborne varmit control for ranchers. Nice. TESTIMONIAL: This was an awesome experience. Joe is an excellent Instructor. He knows his subject thoroughly and has an excellent teaching manner. He's patient and takes the time necessary to ensure comprehension and understanding. I'm looking forward to continuing my flight training with Joe. Thanks for everything. Andy B.
I am a lucky guy for many reasons, but here are two: 1) I am retired, and 2), I just happen to live within 30 miles of Kemmeries Aviation! I downloaded the "All About Trikes" video yesterday and can verify that the app is wonderful. The included videos very cool, but also concise, informational and instructional. The app truly meets and exceeds its goal of providing a comprehensive insight to the world of sport flying. I can't wait to be a part of this culture! Thanks Denny for all of your help! I ordered some parts from Denny and had him ship them to me in Mexico. They got stuck in customs and needed all sorts of extra paperwork to release them to me. Denny went the extra miles and faxed off all of the different papers they wanted. The parts arrived at my house here in Mexico. Highly Recommended!!! Wow. I have a serious dilemma. What we did today was the experience I think I've always been looking for but just ended up following the path to my Mooney. Through compromise, I simply must have both. One plane in my hangar has always looked a little boring. Thanks Denny & congrats on the other 'project'. 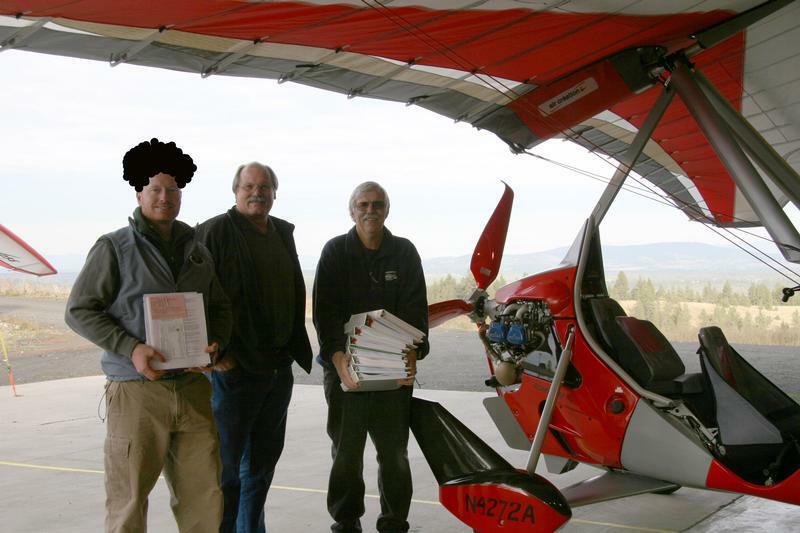 Royce took delivery of his brand new 2011 Air Creation Tanarg 912-S-ES with Bionix wing at the Coeur d'Alene Airshow last Saturday. The aircraft was delivered 'turn-key' and he flew it home. What a beautiful airplane! Winds were 17mph & thermals were booming at 87 degrees so i was interested to see what he thought about his flight home... He said, "This thing flew like it was on rails." Flying with Denny was the highlight of my trip to Spokane! It was like taking a trip on the back of a fast motorcycle, but we were up in the air! It was such a rush, hard to describe but it made me want to do it again. Denny is so lucky to be able to fly like a bird on that wonderful machine! I just recently spent a few days visiting and finishing up my trike training at Backcountry Aerosports. Denny is an outstanding instructor/ host and has a top notch facility/ operation. He is very professional and serious about flying, but makes it totally fun and painless. He even helped me do some repairs on my trike. And the scenery is spectacular! If anyone is looking for for a great place to train or just a fun place to hang out and fly, I HIGHLY recommend Denny and Backcountry Aerosports! HeY I am amazed a view from above of the Eastern Washington scab lands. As a geology hobbyist, and knowing of Bretz's survey in the 20's, it is AWESOME in the holiest sense of the word. To see first hand the remains of a washout from the great flood. As a newbie searching for the best equipment available & simply forced to trust someone to help me navigate this sport, I'm extremely thankful I ended up working with Denny. I was prepared to spend the capital necessary to have the best equipment & instruction on my terms & schedule. Everything about Denny was 'expedition quality' (as he said it would be). Denny's prices were honestly higher than other operations but since being in the sport now for 7 months, I have learned to why... I completely appreciate his services and experience as absolutely priceless. He has answered his phone 24/7 for me. I did my research on other operations & aicraft for over a year while Denny told me outright that I'd get exactly what I paid for in this sport. I got the best. See you all in the sky!!! Thanks for the great 2 days! Well, I couldn't sit here and not write something great having been on a flight with you. You have grabbed onto a fantastic idea and ran with it. Look where it got you. I am proud to call myself your cousin. If you are eve in the DFW area, I am sure people here would love the opportunity to soar with the birds, and I don't know of any local flying clubs that feature ultralights. Let's work something out! By the way, your website is the most professional and best presented of all the ultralight sites I have perused and you should be proud of it. Well folks...I can say that I have known Mr. Reed for some time now. There is not a person I would rather go up in the air with...or underground or...anyway. I appreciate the awesome flights that you took my wife and I on. I cannot think of a better experience that we've had over the last year. I encourage any of you that have not tried this awesome rush yet, consider doing so soon. Whether you want a quiet flight, a look at the wildlife, or just to mess around, it is an incredible ride. My wife still talks about it. And if you're worried about safety...Denny Reed is the guy to take you up (and back down on all three wheels.) Hats off to you Denny and please keep doing your thing. Fantastic experience. Denny was great. The explanations were easy to follow and controlling the plane was very easy. Denny, I can’t thank you enough for the opportunity to go for a flight this weekend. I’ve wanted to go up for a while, if I had only known ….. How do I put that into words? I wish people could feel what I feel when I tell them about my adventure… amazing, tranquil, addicting are some words that come to mind but still don’t do the trick. Rather than listening to me, I would tell everyone to go and find out for themselves! My confidence in your ability and your explanations prior to and during the flight squashed any chance of nerves interfering. Not a care in the world, I was flying! It’s a bird… It’s a plane… No…it was Stacey! I’m ready for more. Love the property too, beautiful perch. 1st flight - Would recommend it. No problems; just sit back & enjoy. The sky awaits! Thanks very much. I knew the weather would be bad but I took Denny's advice & took his first class that introduced me to the equipment & sport. I'm thoroughly impressed. I'm a commercial pilot and have also flown with another trike instructor in this area and there is no comparison. The Backcountry guys are straight forward & doing it right. "It was heaven! ...relaxing and enjoyable." "I can understand why my husband is so excited to do this." Yeah, that was really fun. I have enjoyed my training with Denny Reed. He has been a good friend to me as well as a great instructor. He makes flying fun, but he is very safety conscience as well. Thanks for your talk & the slide show. Looked like the folks at the engineer's forum really enjoyed them. Happy New Year! I know it's a little late... Just a note of "Thanks" for the opportunity to reach some new personal heights. While going through my annual pictures and things I've done. 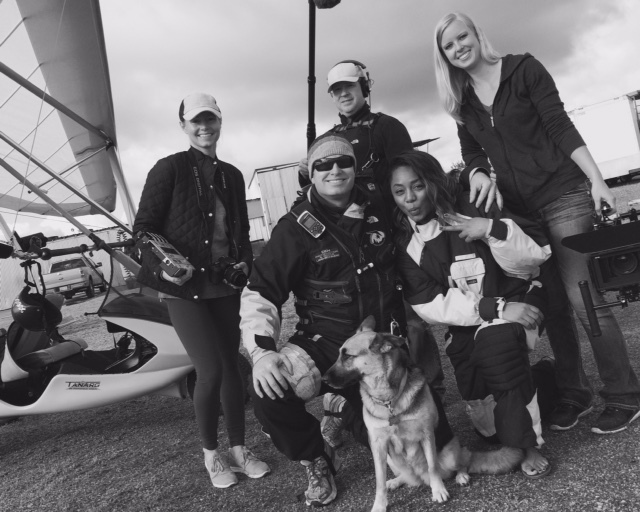 learning to fly was a great event. Having gone through 2 years of rehab, I discovered that I need to do some fun & exciting things. your time and patience, I must say, is deeply appreciated. I've been working hard in the physical therapy and getting good strength and range in my arms. I hope all is well with you. Thanks again, and I hope to see you this spring. Denny, Thank you for working with Ty. He really has enjoyed learning from you. The Davenport Booster Club thanks you for your generous contribution to this years Dinner & Auction. It was a huge success thanks to our fine friends like you. Again, Thank You. Each time it gets better. Thanks! Awesome experience. What a buzz! Unlike anything I've ever done before. Great flight, informative & fun. Felt safe & exciting at the same time! Excellent way to be in the air. Thank you for taking us on an ultralight flight! We had so much fun learning about your amazing aircraft and seeing the world from high above the trees! It was the highlight of the retreat! You are very generous with your time and we thank you! Thank you so much for the incredible flying experience in Oregon. It was so kind and gracious of you to include me and I really loved it! It was like 'floating' - sort of... Please allow me to return the favor next time you're in town. Thanks again for a memorable morning. Thanks so much for taking Tasha & I up for that amazing flight! I cannot believe how cool it was! Tasha is still talking about it! The dinner was delish, & it was great meeting you all. Thanks again. Awesome ride & great instruction! Wonderful! I think I've found a lifelong hobby. Had a great time for my first flight. 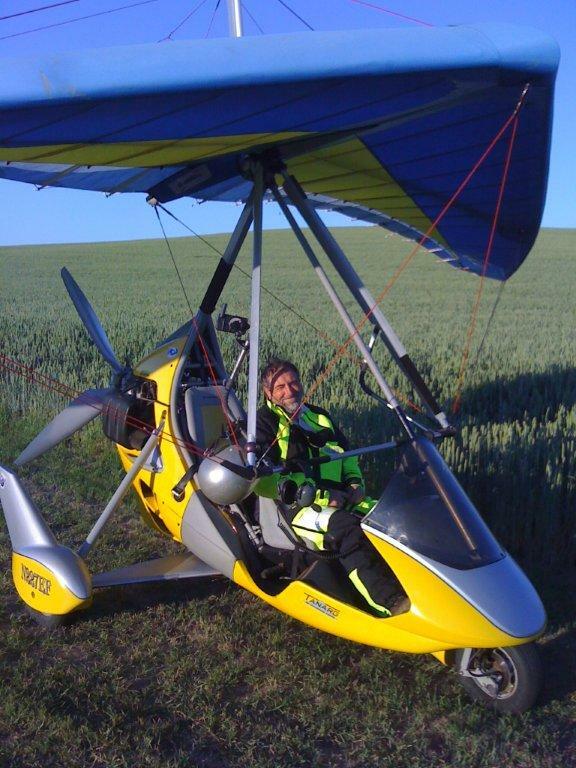 Would like to fly longer and not have as much wind, but everthing was excelent. Great thrill & a lot of fun. Can't wait til the next ride. Denny rocks! Is a double roll possible? Even as a paramotor pilot, this was one of the best flights of my life. Perfect weather, perfect scenery & great instructor. Hi Denny! I just wanted to thank you for the awesome flight yesterday. I told my class that I went flying this weekend, I told them it was like I was Harry Potter flying on a broomstick. They were very impressed, and I showed them pictures of your planes on your web site. I appreciate you letting my dogs roam your property too. A wonderful evening and I hope we can fly and play more in the future! :) Some people play on mountains, some play in water, but if you really want to play with the BIG DOGS you need to come play in the air. Watch out geese there is a new king of the sky! THANKS DENNY! A magical evening thanks to you. Very exhilerating... My favorite part was the gliding without the engine! I,m 84 years old and have flown with Denny Reed over my own property and that of many others, what a thrill to come up over the hills and see the wild life down below you, I never knew there was so much wildlife on my own property. I have a breathing problem, and the air is so clean up there . Have been up twice and ready to go again. As a Cessna driver, I didn't know what fun flying was until I joined the Reeds on Labor Day 2003 for a flight over Lake Roosevelt in a trike. I signed up for lessons and now enjoy flying my own trike. The Backcountry gang is one very nice (and very fun) group of people to fly with. I just can't get enough of it!!! I have been up a few times with Denny. It is just awesome. It is a great activity if you have friends or family visiting. I have brought friends up and they are hooked! I have taken my wife with me, and she wants a trike of her own. Denny's knowledge and detail to safety is astounding. YOU JUST HAVE TO GIVE IT A TRY!! !